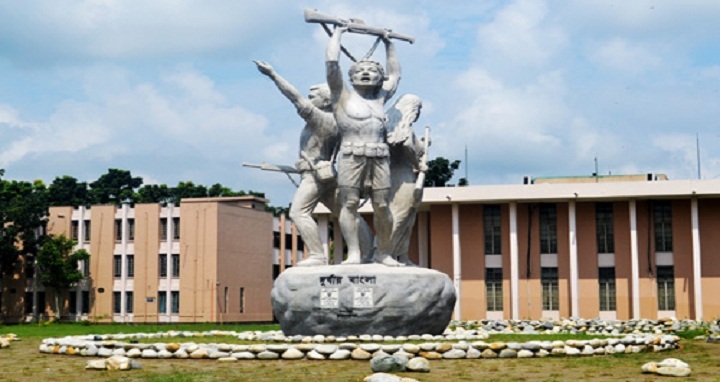 Khulna, 25 Dec, Abnews: Three teachers of Khulna University of Engineering and Technology (KUET) have been suspended over plagiarism in their research. The accused teachers are Professor Dr Mohammad Mashud and two assistant professors — Md Abdullah Al Bari of department of Mechanical Engineering and Md Hasan Ali of department of Energy Science and Engineering. According to the decision, they cannot perform any administrative work and cannot supervise any research and their promotion will remain suspended until any further notice. The KUET authorities also formed three-member probe committee led by Professor Dr Bashudeb Chandra Ghosh, dean of department of Electrical & Electronic Engineering, also director of IICP. The allegation has been brought against the accused teachers that they published two technical papers in International Journal of Mechanical Engineering (volume-2, issue-1) and ICMIME in 2013 which were copied from a foreign research. The results of their papers were 100 percent similar to the research published in Mitsubishi Motor Technical Review in 2004 (Volume -16).